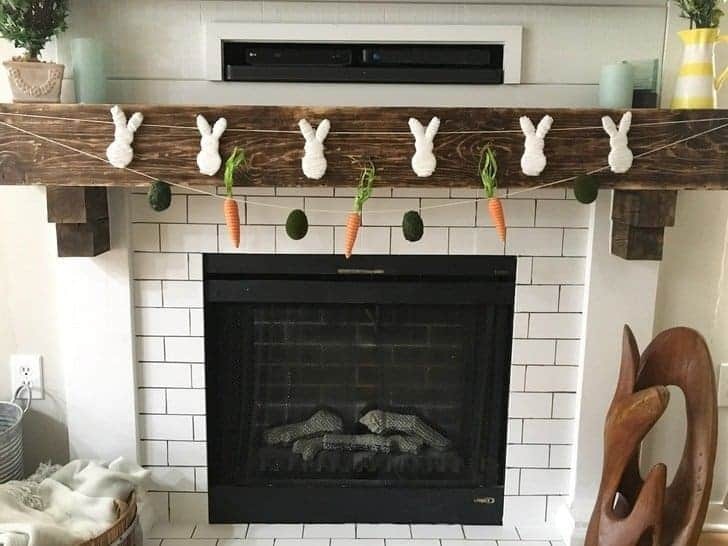 Now that we’ve brought our 90’s fireplace into this millennium, I’m loving being able to decorate it with DIY seasonal decor. It’s so fun to create a new vignette for each holiday to add some color to my living room decor. 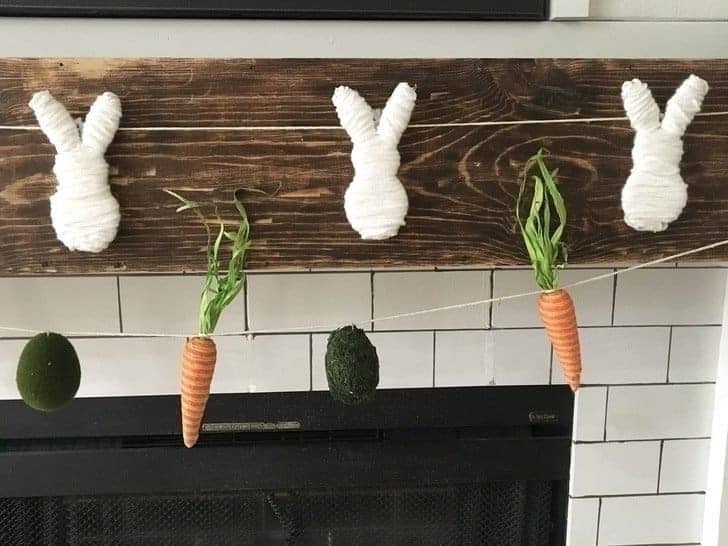 And these easy DIY Easter banners are the perfect way to dress up your Spring mantel without spending a fortune. Even the craft-challenged Mamas out there will be able to recreate these fun DIY Easter banners in no time. 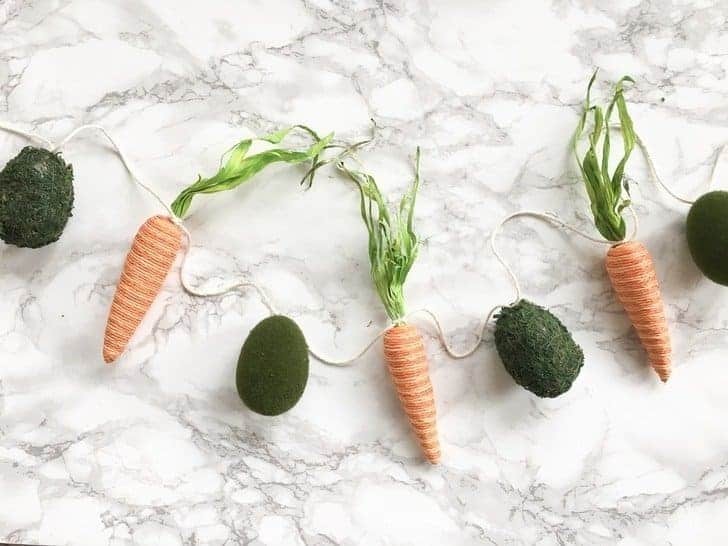 The carrot and egg DIY Easter banner took me literally 5 minutes to create, so if you’re short on time, skip down to that super easy tutorial. *These super cute yarn bunnies were inspired by the yarn-wrapped cardboard hearts from Crafty Morning. Click HERE to download and print my FREE bunny template. 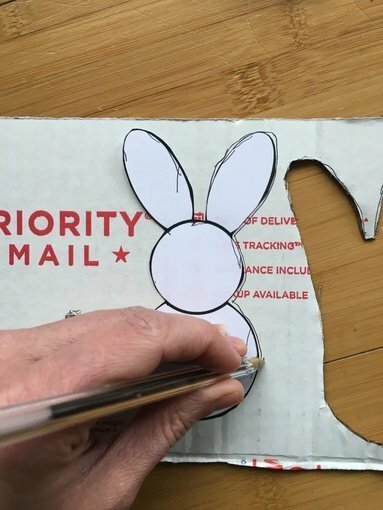 Trace the bunny template onto the cardboard box scraps and cut out. Starting in the middle of the bunny, wrap white yarn fairly tightly around the cardboard horizontally. Continue to move down the bunny as you wrap. 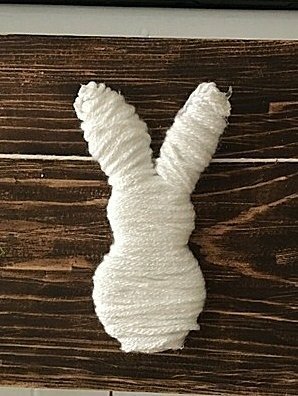 Once you get towards the bottom of the bunny you will need to hot glue the yarn in place, or it will slide off the end of the circular shape. 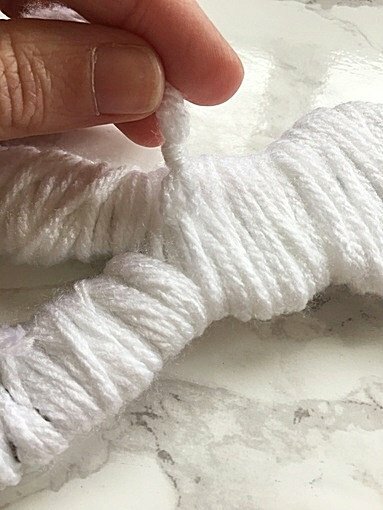 To attach your yarn bunnies to your butcher’s twine, knot a small loop of yarn through the back, top area of your bunny. 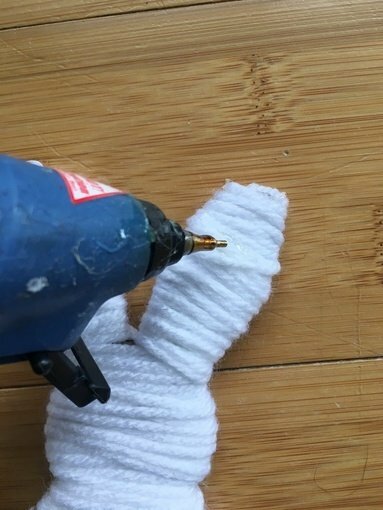 Snip the ends so that the loop is not visible from the front of your DIY Easter banners. Then, run your butcher’s twine through the loop. This method will allow your bunnies to hang straight down. Once all of your bunnies are threaded onto the butcher’s twine, you can adjust the space between each. 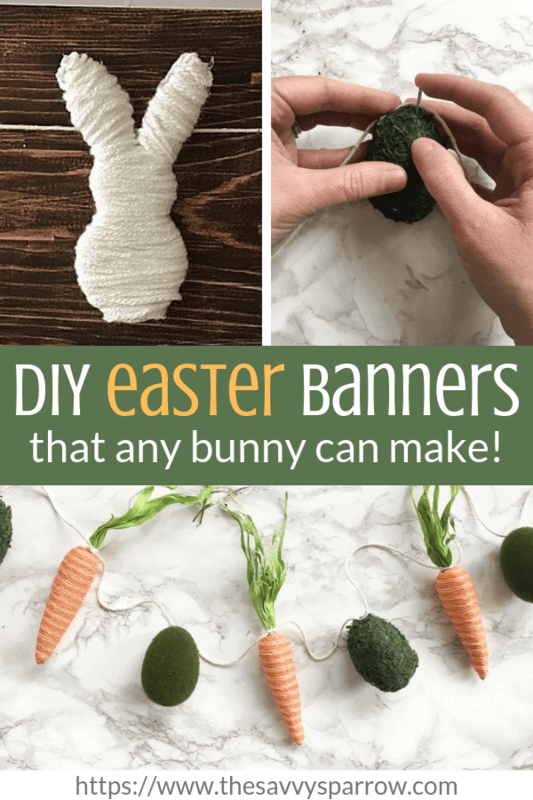 And you’re done with your first of these cute and easy DIY Easter banners! 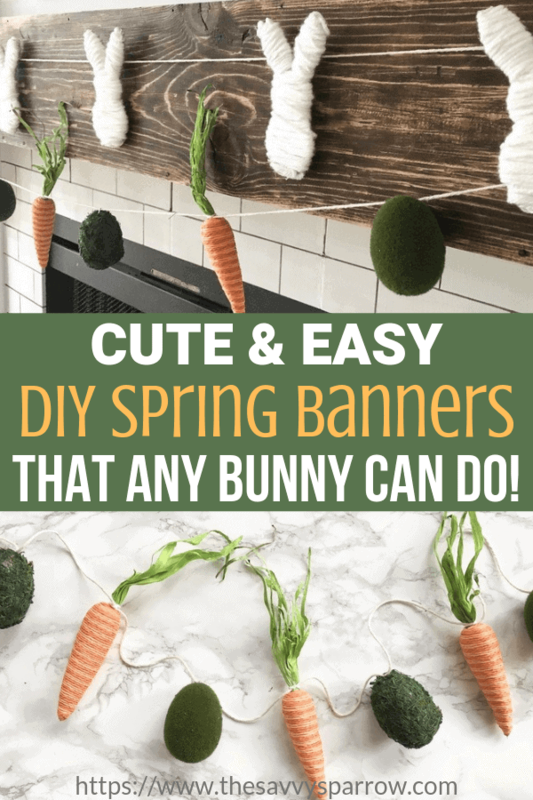 These carrots and eggs DIY spring banners couldn’t be easier! To attach your carrots, simply tie them onto the butcher twine. 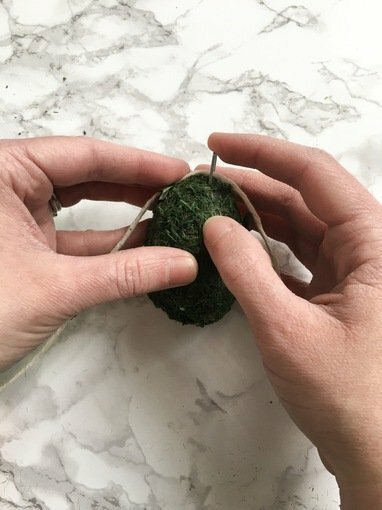 Attach the moss eggs to the twine by gently pushing a staple into the styrofoam egg, holding the twine in place. And that’s it! Told you it was super easy. Love the finished product. I think even Martha would be proud! If you love this DIY banner, then check out this fun DIY tassel garland using old kids’ clothes!